Check here for Competitive Exams after 12th for Government recruitment. Visit us to know the list of Competitive Exam where minimum eligibility criteria for qualification is class 12th. 12th Science with PCM - A Career Guide. Visit us to explore best career options after completing 12th Science with PCM. Top 10 Vocational Courses after 12th Class. Here is list of vocational courses that students can pursue immediately after class 12, if they want to learn some skills for earning/ working at that stage as well. Names of colleges are also provided for Vocational Courses Study in India. After Class 12 Various Career Options and Entrance Exams for Class XII Students Engineering (BE, BTech), Medical (MBBS, Nursing, BDS, Homeo, Para Medical), Commerce (B.Com), Management , Fashion Technology, Hospitality, Travel and More. Looking for info on top entrance exams after class 12. Check out this post for various entrance tests after 12th in science, engineering, commerce, architecture, law and hotel management streams. List of Medical entrance exams after 12th that a student can enroll in for admissions. Check the list of best Medical Exams after class 12th. Indian Army invited applications from 10+2 exam pass candidates for the Technical Entry Scheme (TES) 38 Course Jan 2018 for the Grant of Permanent Commission. All eligible candidates may apply online for Indian Army TES 2018 . Various Career options after class 12. 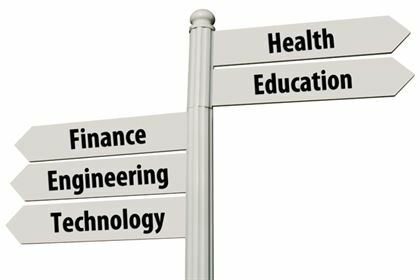 Check out different Careers in field of Medical, Engineering, IT, management and related colleges. For more info on Entrance exams and career options after class 12 click here. Check out the courses details, colleges details, job prospects. Click here to know career options after class 12 in commerce stream. Check details about commerce courses, career prospects. Career options for class 12 commerce students without mathematics. Read this article to know what all can be considered by students after class 12. Check out the list of Medical/MBBS Entrance exams for undergraduate medical courses. Also click here to know various Medical colleges along with the exams to given after class12. Click here to know the eligibility criteria for Indian Airforce and Indian Army. Check out details of course to be pursued after class 12. Check here the details related to Diploma in Pharmacy after class 12. Candidates interested in doing Pharmacy from National Open School can check the details here. Candidates planning their career in Management sector can have a look at this article. Check out various colleges offering integrated MBA courses after class 12, admission criteria, exam process. Various Scholarships provided to the candidates after class 12. Check out the links. MBA after Graduation or Work Experience Which is better?